Q. 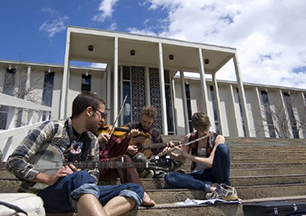 How can I get access to books, articles, and other materials not held at UNCA? 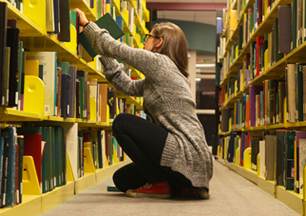 You have a couple of options: first see if the item is available in our Western North Carolina Library Network by searching our 'Books & Media' search and select the 'ASU, UNCA, WCU' radio button. If you find print materials held by either ASU or WCU, simply click on the 'Request' button to have them sent to UNCA's Circulation Desk for you via ABC Express. Typically this just takes a couple of days. 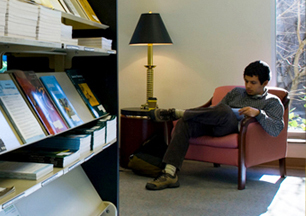 The other way to request almost any book, article, thesis, or dissertation not held in our network is via Interlibrary Borrowing (aka Interlibrary Loan or ILLiad). To place an Interlibrary Borrowing request, simply click on 'Interlibrary Borrowing' in the middle of our homepage (or under the 'Using the Library' dropdown box). These requests take from a few days (for articles usually) to a week or two for books that need to be physically mailed. There are a couple of good ways to search for an individual article in full-text. The most reliable way is to use the 'Journal Finder' tabbed search on the library's homepage, searching by the title of the journal itself (and not the article's title) to see what years we have access to it in full-text and in which of our databases holds it. Once searched you will see what print and electronic access to it we have. For more recent issues, the electronic version is usually the way to go, so click on the 'View Online Access for UNCA' button and then select the database corresponding to the year you need. At that point you can find it by the year, volume, and page number or by searching in the database. The other, somewhat less reliable way is to use the 'Google Scholar' tab on the library's homepage and search for your article there. This should connect back to UNCA's full-text holdings for what we subscribe to, but does not always work reliably. This is much quicker when it works. 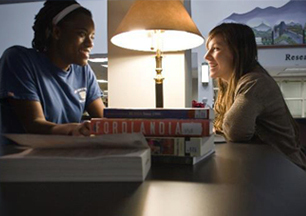 Of course UNCA doesn't have full-text access to everything, so if you do not find something you need in the library, we can usually get what you need via Interlibrary Borrowing, including books, articles, dissertations, and theses. All you need do is request it and give us time to have it sent here. If you have trouble or questions, let us know! We are happy to help!